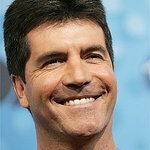 Eric Cowell, age four, has been spotted taking over his dad’s job for the day, as Simon Cowell and partner Lauren Silverman embrace World Children’s Day for UNICEF UK – a day of action for children, by children – by allowing Eric to dress up as his famous father and make all of the decisions for the day. Eric was spotted taking over Simon Cowell’s day job dressed uncannily similar to his dad as he sported black aviator sunglasses, a white open buttoned shirt, denim jeans and smart black shoes, all topped off with Simon Cowell’s signature designer stubble. Today, World Children’s Day, Unicef UK is calling on parents across the UK to listen to and champion children’s voices and let them play a key role in decision making by taking part in a #ChildrenTakeover. Unicef UK hope that all parents across the country will follow Simon Cowell and Lauren Silverman’s lead by letting their kids take over their homes for the day – showing and telling them how they would do things differently, from deciding what’s for dinner to taking charge of the evening entertainment. World Children’s Day is a day of action for children, by children, that celebrates children’s rights and the power of their voices in changing our world across the globe on Tuesday 20th November. For more information on Unicef UK’s World Children’s Day #ChildrenTakeover, please click here.